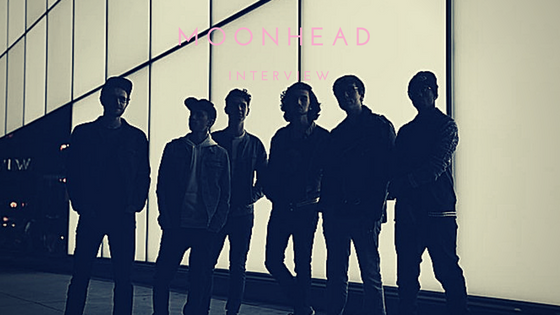 Moonhead didn’t exactly know what they signed up for when they were vaguely asked to send their music to Kerri Clarke, a friend of a pianist that lead singer Sam Pomanti knew. Sam’s love for the Legend of Zelda: Ocarina of Time melodies intrigued him to the point of self-taught progression versus the mundane piano lessons that he was receiving beforehand. With his mother being a phenomenal singer and his father being a professional musician, it was only in his blood after all. After self-learning more video game soundtracks and moving on to the tunes of Stevie Wonder and Gino Vannelli, we fast forward to his band. The band was originally known as Saishubi and spoke to specific influences related to Sam. It was a complicated process of lineup changes and ideas that didn’t resonate with the band equally. However, they had such a unique sound that they really found a niche with the Toronto music scene. It was right around the time that they heard back from Clarke – which was months after first sending over their music – that they started moving in the right direction. It turns out that Clarke was auditioning people for the Rocky Horror Picture Show live remake that was going to be airing on Fox in October. The band, still under Saishubi, was asked to record a video of them lip syncing one of the movie’s songs and submit it for review. Although none of the band members had seen Rocky Horror Picture Show, they made sure to do their research and brought out all the stops for the recording of the video. A week later the band was on set – their first movie set ever, let alone a giant Fox production. Although the set was constantly buzzing with people, their biggest takeaway was the politeness from everyone they interacted with. It was truly a life-changing experience and gave them that extra motivation they needed to create the next chapter with their music.